The 777 slot machine service. Free access to the Monte-Carlo casino. 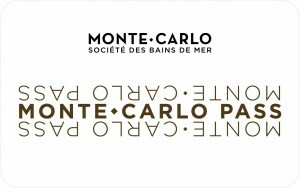 Your subscriptions: Whether you’re a member of the Monte-Carlo Thermes Marins or the Monte-Carlo Beach Club, Monte-Carlo Pass card is your passport for all services. Free access to all shuttle transfers within the Resort. Preferential rates on all course fees at the Monte-Carlo Golf Club and the Monte-Carlo Country Club. For full information on membership conditions, contact our Monte-Carlo Pass card Customer relations department, available Mon-Fri 9 am to 6 pm. Place du Casino MC 98000 Principauté de Monaco T. (377) 98 06 27 27 F. (377) 98 06 26 26 View our general terms and conditions of sale. * Offer reserved for patrons of the Hotel de Paris, the Hermitage and the Monte-Carlo Beach. ** Offer reserved for patrons of the Monte-Carlo Bay Hotel & Resort.